I thoroughly enjoyed this interesting book on the Second World War. The way it directly contrasts modern day life experiences and pastimes with the ideas and social acceptances of the Second World War era. As well as this, the two main characters in the story are from these two very different times and interact in interesting and thought-provoking to the reader. My favourite parts of the book include parts where either bullies or do-wrongers get their karmatic just desserts or when the main character from the 2000s thinks back upon the diary entries of the former old woman who she sees before her in this day and age. When Felicitiy does first discover the diary, her interesting reaction reflected my response which I think is a good way to get young readers to empathise with her due to attitude similarities. I think that the book would have been more gripping and enticing if it focused on the problems going on with Fliss's mum. There could have been more of a development in her illness which would have provided more of a rich storyline for Felicity's mum and home life. This book explored deep and topical issues which made it very relevant to today's world. The character of Fliss acts as a good eye for the reader to see through and it is clever how the author linked this character with that of Margot, the Grandmother. I liked the first part where Fliss began at her new school. She had been used to attending a private girls school in London but is now confronted with the challenge of a mixed comprehensive school in rural Wales. The author used good language techniques to describe the transition. The book was quite long at 400 pages and it could have been slimmed down a bit. I feel that it is more suited to a slightly younger audience but it still made for a fairly interesting read. It would have been nice to have more description of the location. I would give the book 4 stars out of 5 stars. I really enjoyed the book because had lost of twists and turns to it. One minute when you thought something was over, it wasn't. I would definitely read this book again because at the same time of having the plot of a story, it told lots of points of view from the war, e.g. diary entries from women in the evacuation process of the war. I really enjoyed the book Margot and Me; it showed me that even when people grow old and new people are born we ae always linked. We may suffer through different things but we all share the pain. This book linked modern times to olden times and showed me our differences and our similarities. When Felicity read the diary she understood what her grandma was going through and by opening up they finally trusted each other. Although this book included kindness, suffering and love, it also subtly includes history. In Margot's diary, it says how life was different to how it is now. It also shows the difference in language and how our ways of thinking have evolved through the years. It includes historical events like bombing and how life was like for evacuees. It also shows how history is still living around us. Not only are people alive to tell their stories but their past possession that they wrote so their story may live on. We shall not forget them, or what happened. I enjoyed my book because the main character, Felicity, faces different obstacles during the story. She finds her grandmothers diary about the time her grandmother had to move to Wales because of the Second World War. The history book was realistic because I have been studying World War 2, so I can imagine how it would feel to move from the place that you lived all your life and then, you have to suddenly move away because somebody was trying to take over. The book did make me want to find out more about history and I also wanted to read more books from Juno Dawson. This book is mainly about family. Felicity used to live in London but, she had to move to Wales where her grandmother, Margot, lived on a farm. As the story goes on we discover that Felicity's mother has cancer and that she made Felicity came to Wales because she wasn't getting better. The end of the story is sad but the end of the story is going to be a new beginning for Felicity and her grandmother. I had particularly high expectations when starting Margot and Me and I was not disappointed. War time stories are something that have always interested me and this was the reason I picked this book over others. The Blitz is particularly interesting as it affected many people at the time, forcing families apart and tearing up many major cities. Margot and Me is an amazing blend of modern day problems and problems faced in the 1940s, shown in the diary of Fliss's grandma, Margot. The similarities between the lives of Margot and Fliss are interesting; the struggles then are the struggles now. Personally, I think this is a very strong message in the book. The style of writing is incredibly engaging, the contrast between the colloquial tones of Fliss's account and Margot's dairy entries is refreshing and presents two stories heavily intertwined although in different periods of time. Another aspect I particularly enjoyed, was the representation of the LGBTQI+ community in both the 1940s and the 2010s, something that is being seen more and more in contemporary novels, and is long overdue. In terms of the historical aspects, I would say history was represented accurately and incredibly well. Although much of the book is based around Fliss and her mum's battle with cancer, the historical aspects in Margot's diary present a break from this for both Fliss and the reader. The diary becomes escapism within the escapism of reading the book, something quite ingenious. The historical aspect was very subtle but impactful all the same. The experience of Margot was one shared by many at the time which is highlighted particularly in this account. Overall, I sing high praises of Margot and Me and believe strongly that it should be on the shortlist. The story is compelling and moving as well as incorporating historical aspects portrayed beautifully in Margot'ss diary. I highly recommend Margot and Me to any reader and look forward to reading more by Juno Dawson. Margot & Me is about a girl called Fliss who moves from London to Wales with her mum, who is recovering from chemotherapy, to live with her strict Grandmother, Margot. Fliss discovers Margot's diary from the Blitz in the 1940s and learns a lot about Margot'ss life as a child and teenager. While reading the diary Fliss discovers a huge secret about Margot. I found Margot & Me quite an easy book to get into. It was not confusing and it was quite clear which character was which. I really liked how the history part of the book was Margot's diary from the 1940s but how the rest of the book was in the modern day. I think the history in this book was done in a really clever way, especially as it included the 1900s and the present day. I think that the history in the book was realistic and done in a way that made the book very gripping as I wanted to find out what happened next in each person's life, whether it was Margot's diary or Fliss's life at a new school in a new place where she didn't know anyone. I liked how the book switches from Fliss to Margot because I found Fliss's life interesting and it made me want to keep reading the book for hours and hours to find out more about her and her life. However, I really did enjoy reading Margot'ss diary because I love History and we are currently learning about the World Wars. I liked comparing Margot's early life to Fliss's and seeing how they were different and if there were any similarities. Overall, I really loved this book and there was nothing that I did not particularly like. I would definitely recommend this book and I would like to read some other books written by Juno Dawson. I would give this book 4 out of 5 stars. 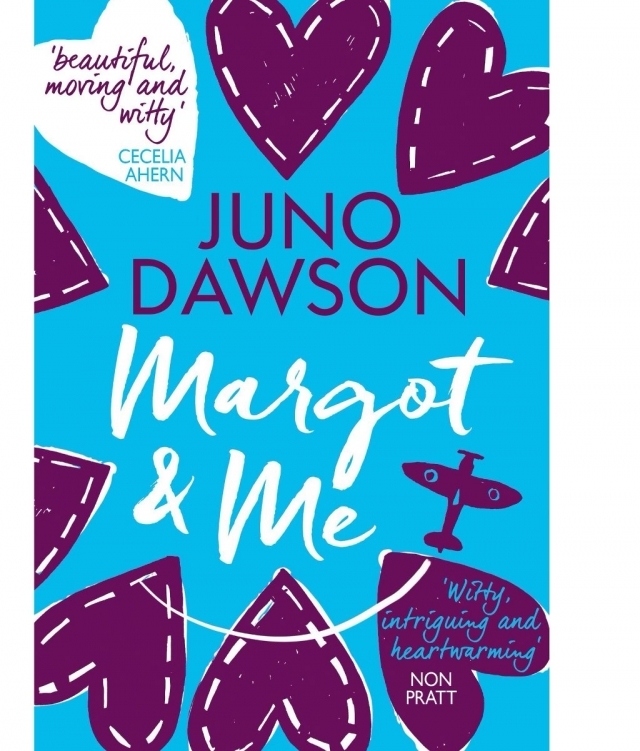 Margot and me was a uplifting yet compelling book that touched on the history of World War 2 evacuation and homosexuality which was perhaps influenced by the author Juno Dawson. I adored the ending where Margot soon found her long lost son. Juno Dawson is a striving and skilful young transgender. She is a devoted and loyal member to the LGBT community. She usually creates characters based on LGBT. I was engrossed in the book as I found the stories from Margot's Diary at the time when she was a evacuee captivating. Margot and me was an engaging story however I think it should be targeted at a lower age since the book is limited when it comes to the historical realism. In most parts of the diary I thought the historical realism was realistic since it was a diary and had historical dates that match up to be the real dates. Furthermore, some of the language used in this book is very realistic to the time of the era. In addition to this the book explains that Margot is an evacuee. However despite this we could also recognise the historical era since she was a young girl working on a farm. So the writer does show clearly through her book that the time is set in that era. Nevertheless, the writer should maybe focus on using more old-fashioned language. For instance maybe focusing on clothes items such as: petticoats, corset, frock and garments. In Margot and me some of the powerful and strong messages and themes are homosexuality. This is when the character Andrew can't be gay and gets married to a woman because of homosexuality. This book has taught me about homosexuality and when they abolished the idea. The idea of bringing this story into the book gives off a strong message to me that it's discrimination that a man can't be with a man. The author develops these characters throughout the book at first Margo is seen as a grumpy ancient old grandma however compared with Margo when she was an evacuee makes her jaunty and sweet. The fashion in which the author has compared their characters personality in different times makes the book more curious to find out. In conclusion, I personally would recommend this book to a younger age since the book explains World War 2 in a more suitable manner. That aside, I would still like to read a book by this author since I would imagine her books are powerful since she is a committed member of the LGBT. This book by Juno Dawson is about a girl, Fliss, who moves with her Mum to her Grandmother's farm in Wales, due to her mother's cancer recovery. Whilst on the farm Fliss finds Margot'ss (her grandmother's) diary from the war but she soon discovers that Margot wasn't always a bully. In fact, she discovers that Margot was a strong willed teenager who always fought for what she believed in. In the book Fliss finds that her Grandmother was evacuated to the farm she lives on now and is intrigued to know why. Furthermore Margot writes about her life during the evacuation during World War 2 and what her temporary family where like in Llanmarion (the small village she was evacuated to). The author, Juno Dawson (born as James Dawson), worked as a school teacher whilst writing books aimed at young adults. Dawson continued writing until she became successful enough to leave her teaching job; this is when she started writing books full timeJuno's books often feature LGBT people in some way or another. Moreover another topic that this author covers is love. In Margot and Me, Margot (in the diary) fell in love with a soldier called Rick, who was recovering from an injury in a war hospital in Llanmarion. Another book by Juno Dawson which features love is All of the above, a moving story about friends, first-loves and self discovery. I think that the history in this book was accurate but lacked content. The only source of history given by this book was the diary entries written by Margot during the evacuation describing the journey down to Llanmarion and what life was like living on the farm in Wales and working with Glynis, along with other women, in the listening post; deciphering codes and secret messages for the British. On another hand the description in this book was excellent because Dawson told us what time period the book was set in through clothes, language and events in which the characters participated in. I think that all the characters in this book had quite strong values in some way or another. For instance: Fliss who always had values but didn't quite see them until towards the end of the book. This book uses a mix of modern and historical language even though it is set in modern times. The modern language comes from the narrative and the speech given by all the characters in the modern day. However, the historical language comes from Margot's diary entries from the 1940s. I really liked the main character because I felt a strong bond with her throughout the book. Furthermore, I think that Fliss had opinions and attitudes that are relatable to teenagers in today's society. This also helps the reader think about how she feels and what her life felt like at that moment in time. I also think that Juno Dawson wrote Fliss's response to be accurate and that's what she achieved. All the way through the book you would have thought that Fliss was a real person, not a non-fiction character because throughout the book she had realistic and relatable emotions to situations others may experience. The main theme for this book is love. This is because at the beginning of the story Fliss doesn't get along with Margot but as the story progresses they build a closer bond and by the end of the book it is as if they always had got along. There are many relationships included in this book. Such as: Fliss and her friends, Margot and Rick, Margot and Fliss, Margot and her daughter (Fliss's mum), and Fliss and her mum. Al these relationships show friendship and love for each other. In conclusion, I think that this book was wonderful and very interesting. I also think that this book is brilliant for young adults who want to learn about history but not through a fiction book. As this book is written from Fliss's point of view it also gives her opinion throughout the story of what happened to Margot during the evacuation, which can help with understanding with what is going on.